Flowery Branch, Ga. – Eric Bohn, MD; Renee Kimball, MD; Christina Nguyen, MD; Angela Ritter, MD; and the staff of Northeast Georgia Physicians Group Chestnut Mountain welcome family medicine physician Jack Cheng, MD, to the practice. 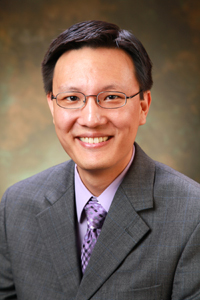 Dr. Cheng received his medical degree from the University of Florida College of Medicine and completed his residency in family medicine at the Spartanburg Regional Family Medicine Residency Program in Spartanburg, SC. He is a member of the American Medical Association and the American Academy of Family Physicians and is eligible for certification by the American Board of Family Medicine. NGPG Chestnut Mountain is a family medicine practice providing routine and preventative health evaluations, immunizations, same-day appointments, EKG, physicals, and laboratory services. Call 770-965-0847 to schedule appointments 8 a.m. to 5 p.m., Monday through Friday.